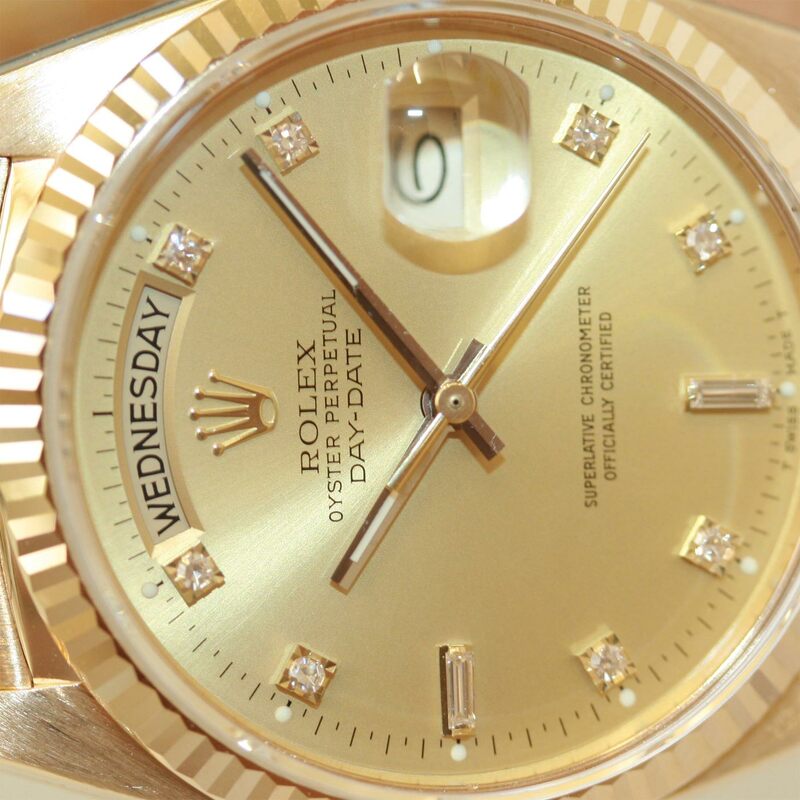 Product code: 633 Categories: Sold Items, Sold Rolex Watches. Want to spoil yourself? Then take a look at this. A magnificent 18ct Rolex Oyster Perpetual Day Date President Model number 18038g set with the diamond dial. The President model is one of the top of the line models by Rolex and with the added beauty of the diamonds on the dial, really make this a stand out watch. 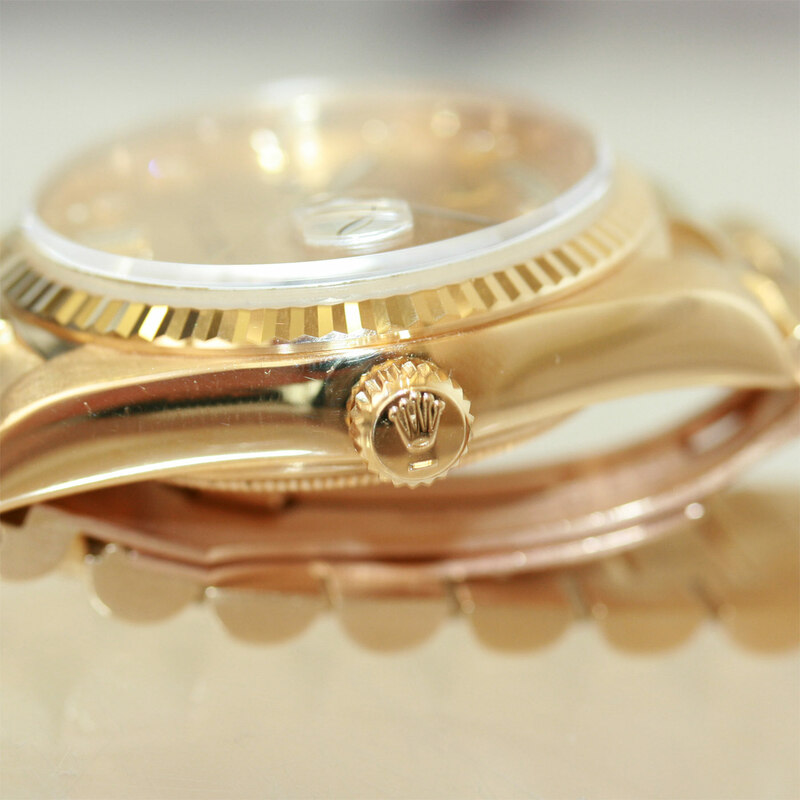 The fully jewelled automatic movement runs brilliant and of course keeps perfect time. The 18ct solid gold bracelet incorporates the hidden clasp, and feels perfect against the skin. If you have reached a milestone, accomplished something great, or just want to spoil yourself, then go on, treat yourself to a magnificent Rolex watch!